The battle for the rooftop garden continues. 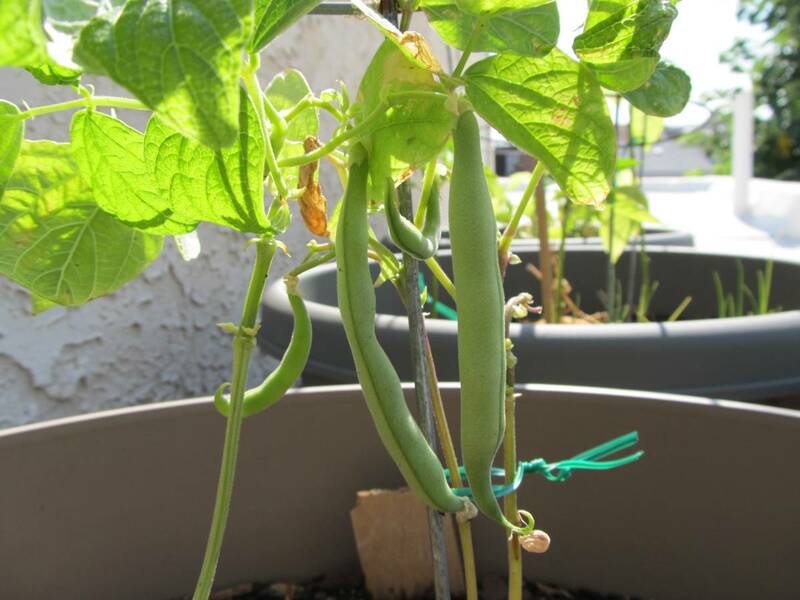 While my green bean plants are still shorter than I would have expected at this time of the season, they’re generating some full-sized and rather tasty beans. The Pai-Tsai, on the other hand, seems like a lost cause. 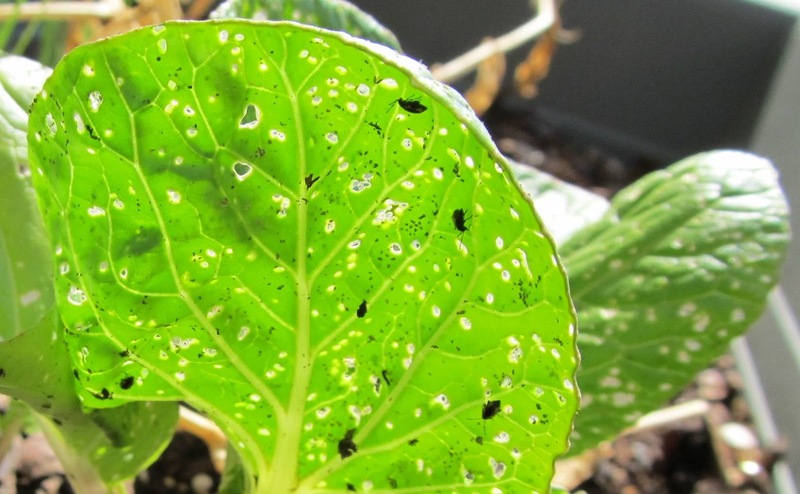 I had hoped that I could find a hot weather alternative to bok choy to grow in the rooftop, but it appears there were some bugs waiting for me to make that same decision. They’ve mounted a pretty serious assault on these Asian greens. The bugs could be aphids, but honestly, I’m new enough at this that I’m having a hard time identifying them. I’m going to try spraying some more garlic water on the leaves and then I’ll probably give some soap and water a try, thanks to a suggestion from +Laura Garnick. But I won’t be too disappointed if nothing edible comes of this experiment. After all, it was just an experiment. I have several pepper plants growing and they all seem to be putting on some extra leaves after a long period of just sitting around and doing nothing. 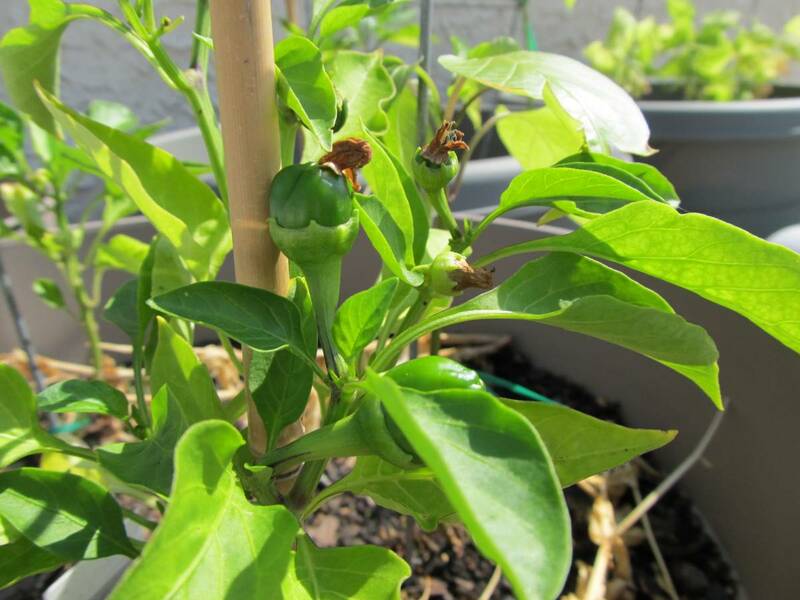 But the only one that’s really starting to grow peppers is the plant I picked up at the start of the growing season from the GreensGrow nursery. The kids I started from seed indoors are taking things at a slower pace. 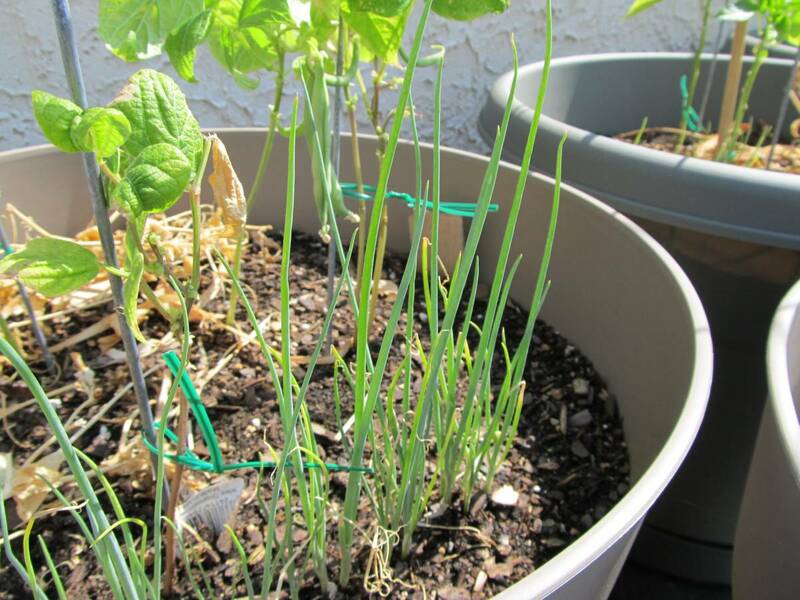 The green onions I planted this spring are also finally starting to look like food. I really thought they should have matured by now, but it turns out things never move at the pace I expect in my little rooftop garden meilleur prix du viagra.